RT flopped on tablets, can it succeed on mobile? Can smartphones save Windows RT? Windows RT tablets haven't exactly set the world alight, and with the full Windows 8 slates faring better in the market it's left Microsoft with a little bit of a problem. All is not lost however, as Microsoft's Terry Myerson explains the merging of smartphones and tablets will mean the ARM-based Windows RT software will raise its head again, and hopefully provide users with a better app experience. 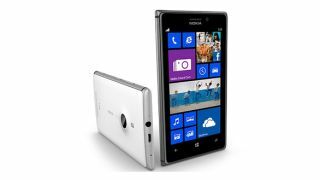 Speaking at a Microsoft financial analysts meeting Myerson said: "The ARM devices in particular in phones have incredible share given their battery life and the connectivity options available with the system-on-a-chip ecosystem. "Windows RT was our first ARM tablet. And as phones extend into tablets, expect us to see many more ARM tablets, and Windows ARM tablets in the future." Microsoft is also looking to unify its application offering across devices, with the aim of having one app which is available on smartphones, tablets and computers. "We should have one set of developer APIs on all of our devices. And all of the apps we bring to end users should be available on all of our devices," Myerson explained. One of the strong selling points of Apple's ecosystem is its library of applications that work seamlessly on both iPhone and iPod as well as the bigger screened iPad - and it's clearly something Microsoft is attempting to mimic. With applications which play nicely with both the Windows Phone 8 based smartphones as well as the new tablets, it may spark interest in the Windows RT brand after all - and about time too. What's all the fuss about RT? Take a peek at our in depth Windows RT review and find out.